At a recent Domaine Ponsot tasting, it was interesting enough tasting the wines and listening to Laurent Ponsot, the fourth generation in the winemaking family, talking about them. But, like a great detective novel, it was the twist at the end that made it especially memorable. Let’s focus on the wine first. Like most Burgundian producers, Laurent respects the land. He insists that it is the overall geology of Burgundy, not merely the soil, that results in so many appellations—1,250 in total. Wines from two adjacent rows of vines can be totally different if the rows are on different sides of the fault line, because the minerals underground are not the same. Hence his remark, "We don’t produce Pinot Noir, we produce appellations." To preserve integrity, Laurent has no fixed rules for making a wine. He does only what is necessary to help it express itself. The vineyards are organic and the work is natural. Also, he does not use new oak barrels, first because of the overpowering wood flavour imparted and second because of the fast ingress of oxygen—a new barrel transmits too much oxygen, resulting in premature oxidation. He compares this with the tragedy of a child destined to be a sumo wrestler: the child was overfed so much that he died young. Laurent's newest barrel is five years old. We tasted the 2009 and 2010 vintages. Laurent reckoned 2010 was 100% a 'terroir wine'. The weather was not great so the sun did not have a great influence on the grapes. Yield was down across the board, but for those who made it the wine was a true expression of terroir. In contrast, 2009 was an easy vintage with perfect weather. Even the lesser vineyards produced better and riper grapes than normal. It was a '35% vintage' wine, according to Laurent. For me, both vintages were good, though the younger wines were too closed. We were surprised to see that the wines were sealed with a synthetic closure, the Ardea Seal AS-Elite to be exact. Laurent was excited about this. He had spent 20 years searching for the perfect closure and eventually found this in Italy. It has a polymer section in contact with the wine that allows oxygen to go in but not wine to go out, like a Goretex layer. Compared to cork, this gives the dual advantages of avoiding TCA taint and enabling more precise control of maturation. But on top of this the Ardea closure, being difficult to copy, offers the additional benefit of making it easier to spot counterfeit wine. The topic of counterfeiting makes Laurent animated. He proudly points out that all his bottles have the domain name inscribed in the bottom, and the label is made of a paper like that used in bank notes that can be verified using special machines. Even more impressively, each bottle also carries a hologram for authentication. Clearly Laurent is out to make sure his wines will not easily be counterfeited. I smiled, perhaps questioning whether all this was a little excessive. It was then that Laurent dropped his bombshell. He earnestly told me that he works in collaboration with the FBI, and that it was his investigation that led to the arrest of the infamous Rudy Kurniawan in 2012! I had followed this story closely last year but during the tasting it didn't cross my mind that the gentleman next to me was the man that had sent shockwaves through the auction market. Shame on me, I should have done more research beforehand. To Laurent, the winemaker is only one element in the process, and wine is mostly made by itself. He reckons he is the laziest winemaker out there, often preferring to travel the world getting closer to customers. Well, I reckon being a counterfeit detective should also be taken into consideration! Domaine Ponsot is available from Altaya. Most of us are impressed by people who can get the wine correct at a blind tasting, and secretly wish that we could do the same. Considering there are more than a dozen major wine producing countries and over 20 popular grape varieties, not to mention the hundreds of smaller wine producing regions and the even greater number of indigenous grape varieties and wine blends, it is daunting if not impossible to win in a blind tasting game. How do people do it then? Most tasters normally start by eliminating half of the world, by going down the Old World / New World route. Because of tradition and winemaking technique, Old World wine (such as France, Italy, Spain, Portugal, Germany, Austria) tends to be more restrained. Reds usually have a savoury characters while whites may have a hint of saltiness (some say minerality). New World wine (Australia, New Zealand, South Africa, the USA, Argentina, Chile) is usually more fruit focused and forward. This is true even for aromatic grapes like Riesling. A German Riesling is more subdued than a Clare Valley one. So if the wine smells of abundant fruit, chances are it is likely to be from the New World. To get closer to the origin, one needs to know the geography. Wines made in cool or mild climates are likely to have lower alcohol and higher acidity than those from warmer regions. This is because in warmer conditions, grapes ripen faster, accumulate more sugar and lose acidity faster. Sugar is converted to alcohol during fermentation, so wine from hot areas like Southern France will have higher alcohol than the cooler Burgundy. However, there are exceptions. Grapes grown in a continental climate—hot days but cool nights—have both high sugar and high acidity. And don’t forget that water and altitude play a part as well. The ocean has a cooling effect on coastal vineyard areas in Chile, California and Stellenbosch, but brings a milder climate to Bordeaux, while every 100m increase in altitude will see the temperature drop by 0.6ºC. Combining the above factors, you can narrow the probabilities down quite a bit. Say you are presented a delicate wine with fresh acidity and moderate alcohol; it is likely to be from a cool climate region in the Old World. A wine with pronounced fruit characters but only moderate alcohol is likely to be from a not too hot New World region, possibly Margaret River, or some high altitude vineyards in Chile. Getting excited? It’s time to study now. You don’t need to be a brilliant taster but you must have the knowledge if you want to get the wine correct. The wine’s structure is what’s most important. Some grapes, such as Nebbiolo, Touriga Nacional and Cabernet Sauvignon always have high tannins, but the first two will also have higher acidity. Merlot, Malbec, Pinot Noir and Zinfandel have both medium tannin and acidity. Grenache, Gamay and Barbera have low tannin but the latter two have much higher acidity than Grenache. Colour also gives some hints. For example, what is a red with pale colour and high acidity? It could be Nebbiolo, Sangiovese or Pinot Noir, but if the tannin is high then it can’t be Pinot Noir. Now, look at the alcohol. If it is over 14%, it is highly likely to be Nebbiolo because Piedmont (where Nebbiolo is grown) has a more continental climate than Tuscany. Take another example. A near opaque wine with moderate acidity and lush black fruits is probably a New World Shiraz, Merlot or Malbec. If the tannins are obvious but round, and there are jammy and spicy notes, I would put it as a Shiraz above the others. And if the alcohol is 14-14.5%? Very likely a Shiraz from the Barossa. White wine is similar. It doesn’t have tannin, so acidity and alcohol level are the key factors. 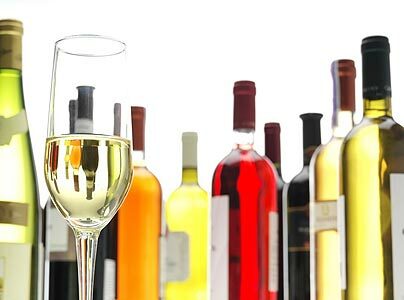 White grapes can also be categorised into aromatic ones such as Sauvignon Blanc, Riesling, Viognier, Gewurztraminer, Muscat; or neutral ones like Chardonnay, Pinot Blanc and Semillon. Semi-aromatic grapes include Chenin Blanc, Pinot Gris and Albarino. So an aromatic wine with crisp acidity could be a Riesling or Sauvignon Blanc, but if it has a purity of fruit and alcohol of 13 or 13.5%, it is possibly a New World Sauvignon Blanc. Alsace Riesling could have 13% alcohol but it would be more mineral rather than fruit focused. Unfortunately—but this is exactly what makes it so interesting—wine is not that black and white. With climate change, flying winemakers and the exchange of winemaking techniques, we are now seeing Old World wine styles made in the New World and vice versa. Some Bordeaux reds, especially those from riper vintages, are more fruit-forward with rounder tannins than the classic ones. The Kumeu River Hunting Hill Chardonnay from New Zealand (available from Northeast) is made in a Burgundian style which, in blind tastings, has fooled many a wine professional into believing it is a premier cru Burgundy. My belief is that guessing the exact wine is not a very good reason for learning and enjoying wine. What matters is that we understand its quality, its style, its sense of place, and appreciate the effort that the winemaker has put into making it. As long as we follow the logic and know the theory, we won’t be far off in identifying the wine. And so what if we mistake a good quality South African Stellenbosch Cabernet Sauvignon for a Chilean from the Aconcagua Valley? Hong Kong's wine scene is getting busier with international competitions heading east. First to arrive was the Cathay Pacific Hong Kong International Wine & Spirit Competition (CXHK IWSC), which had its inaugural competition in 2009. Led by Debra Meiburg MW, it is held annually just before the Hong Kong International Wine & Spirit Fair (HKIWSF), and the trophy winners are revealed during the Fair. 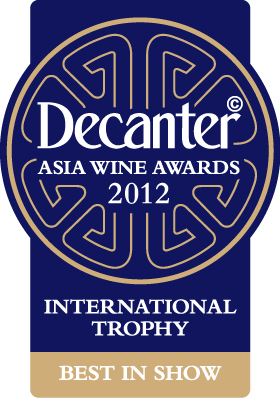 The Decanter Asia Wine Awards (DAWA) is the latest on the scene. Chaired my Jeannie Cho-Lee MW and Steven Spurrier, it was launched in 2012 and the top prizes have just been announced recently. At competitions—they can also be called wine shows or challenges—wines are tasted blind and rated according to their quality and typicity. Medals, usually gold, silver and bronze, are given to the best in show in various categories (Best Chardonnay, Best Bordeaux blend...). The best of the best are typically awarded trophies. Results are arrived at either by consensus among the judges or by their average scores, depending on the competition. CXHK IWSC and DAWA have a lot of similarities. Both have their roots in England and are long established and reputable. What’s more, both are geared towards Asian judges, especially the former where, apart from Debra and one international guest judge, only Asian judges are chosen. DAWA features both local Asian and Asian-based expat judges. Both recognise the benefits this brings in being closer to the market and highlighting the Asian palate. CXHK IWSC also has an Asian food and wine pairing category. So, do these competitions really add any value? Some sneer as they think only mass produced wines will be entered and judges may be unqualified or biased. True, a competition can only be as good as the wines entered and the standard of the judges. We have to realise that the big Bordeaux brothers or equivalent will never enter in case they don’t win, and nor will cult wine producers as they don’t have big volumes to sell. The standard of judging is directly related to the reputation of the competition. It is in the interests of the organisers that only competent judges are invited. They may have different stylistic preferences but judges of all nationalities should be able to rate a wine purely based on its quality. I do believe competitions can be of great value in the developing markets. The results serve as guidelines for the inexperienced consumer, helping him select wine from the myriad available in the marketplace. He may not like the style of a wine but at least he knows its quality has been independently assessed. After accumulating some experience he can then move on with confidence to try other non-competition wines and be able to differentiate their quality levels for himself. Wine competitions can thus bring wine closer to consumers, helping to expand the market and so benefiting all wines whether they are entered in competitions or not. With so many competitions around—big and small, international and local—their reputations and degree of recognition are all-important. Proactive consumer marketing of a competition is as essential as attracting entries. The more that consumers recognise a competition and its credibility the more confidence they will have in buying the winning wines. And these purchases will generate a positive feedback, attracting more and better entries next year. And whatever the status of a competition, producers and distributors should be proud of their trophies and medals and utilise them as marketing tools. It should never be an embarrassment to tell your customers that your wines are among the best! Click for the latest results of CXHK IWSC and DAWA.